Attorney, Partner, Member of Kyiv Bar Association, Jurvneshservice. Attorney’s Assistant, PhD in Private International Law, Jurvneshservice. Jurvneshservice was formed in 1987 and since that time has advised leading Ukrainian and foreign corporations on legal issues of the contemporary Ukrainian market. Jurvneshservice attorneys have cultivated the culture, commercial pragmatism and technical and interpersonal skills required to deliver services of international standard tailored for the preferences of world-class clients. Jurvneshservice attorneys have received numerous awards over the years of practice and authored a great number of publications. Jurvneshservice cooperates with such leading law publishers as Kluwer Law International, which published Anna and Gennadii Tsirat’s monograph Civil Procedure in Ukraine (2012) and Intellectual Property Law in Ukraine (2011). As an expert in cross-border litigation Gennadii Tsirat published some monographs: International Civil Process: Current State and Perspectives of International Unification (2013), International Commercial Arbitration (2002) and International Arbitration as a Means of Disputes Settlement (1997). 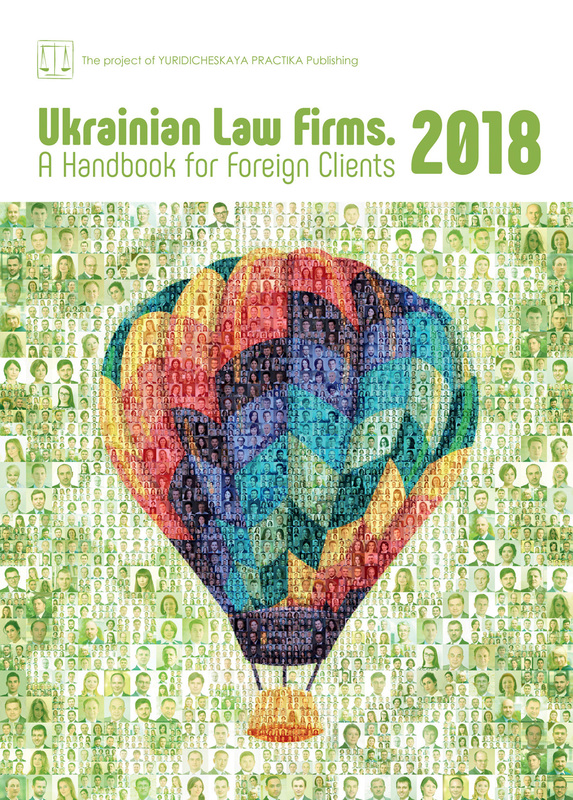 Anna Tsirat, a leading expert in franchising in Ukraine, published the Guide on Draft of Franchise Agreements (2010) and Franchise and Franchising Agreement (2002). Her studies in the aircraft finance are reflected in the monograph International Private Air Law (2018). Anna Tsirat is the author of numerous chapters on Ukraine that are updated annually, including The Official Guide to Aircraft Registration and Tax; World Aircraft Repossession Index; Aircraft Financing; Aircraft Liens and Detention Rights; International Agency and Distribution Law; Getting the Deal Through — Air Transport, Franchise in 28 jurisdictions worldwide, License in 28 jurisdictions worldwide (these are the sections of Getting the Deal Through), The Aviation Law Review; International Joint Ventures; International Secured Transactions; International Franchising, etc. Jurvneshservice attorneys work with clients, other law firms, advisers and each other as one team, addressing the needs of clients more efficiently. Jurvneshservice clients keep coming back because Jurvneshservice understands the clients’ businesses and is committed to finding practical ways to help them grow and succeed. Jurvneshservice’s main practices are aircraft finance, anti-corruption, bankruptcy, corporate disputes, criminal law, cross-border litigation and debt recovery, enforcement of foreign arbitral awards and judgments, intellectual property, including franchising protection, international arbitration, project finance, white-collar crimes, and unfair competition. Protecting the dignity and reputation (dignity protection) of individuals in Ukraine is based on the Civil Code of Ukraine (Articles 23, 270, 297), the European Convention on Human Rights (the Convention), and judgments rendered by the European Court of Human Rights (the ECHR) that are treated as a source of law and that are mandatory for Ukrainian courts (Article 17 of the Law of Ukraine On execution of judgments and application of practice of the European Court of Human Rights). Protection of dignity is intrinsically connected with the right to respect for private life (Article 8 of the Convention) and the freedom of expression (Article 10 of the Convention). Still, “Article 8 cannot be relied on in order to complain of a loss of reputation which is the foreseeable consequence of one’s own actions such as, for example, the commission of a criminal offence” (Axel Springer AG v. Germany, judgment of 7 February 2012, para. 83). The issue of a person’s right to protection of dignity arises frequently when a person who plays a certain role in society (for example, a politician, official or big businessmen, so-called public figures) is verbally attacked, for example, in debates with his or her rivals or in the media by journalists or just ordinary people. Such cases will be considered by courts of general jurisdiction. A recent “cause celebre” in Ukraine was the range of cases where Mikheil Saakashvili was claimed to have slandered the reputation of other persons who were well-known politicians (Arsen Avakov, Minister of Internal Affairs; Roman Nasirov, former Head of State Fiscal Service of Ukraine; Andriy Ivanychuk, MP; Illia Kyva, a counselor of Minister of Internal Affairs; Serhiy Pashynsky, MP) and businessmen (Vitaliy Khomutynnik and Mykola Shurikov). — a person claiming his/her dignity was libeled shall prove that certain defamation directly intended to affect him/her in an adverse manner: “mere personal conjecture or subjective perception of a publication as defamatory does not suffice to establish that the person was directly affected by the publication. There must be something in the circumstances of a particular case to make the ordinary reader feel that the statement reflected directly on the individual claimant or that he was targeted by the criticism” (Dyuldin and Kislov v. Russia, judgment of 31 July 2007, para. 44). Namely, in this ECHR reasoning the connection between dignity (reputation) and private life is enshrined. A company’s reputation is a result of perception of its activities by surrounding agents: customers evaluate its goods and services; business partners evaluate contract discipline, turnover rules and treatment of mutual business, participation in social projects and charity activities, style of business conducting, fulfillment of laws, relationship with government entities and the media. Issues of protection of dignity and reputation may arise in situations of any kind of conflicts, be they of a legal or any other character, between two or more companies, involving defamation and false, misleading or uncertain information dissemination, they may take place in the process of unfair economic competition taking such forms as, for example, slanderous articles in social networks (Facebook, Twitter, Instagram, etc.) or newspaper articles; advertising through plots blackening another company; unlawful use of another company’s name, trade mark, products, advertising materials, etc. that may result, or has resulted in, a mix of activities of a company whose rights were infringed and of an infringer; instigation to boycott or discriminate against another company; collection, unlawful use or public disclosure of a company’s confidential information, etc. Business reputation is protected both at international (Article 10 § 2 of the Convention) and national (the Civil Code of Ukraine, the Commercial Code of Ukraine, the Law of Ukraine On Protection Against Unfair Competition, the Law of Ukraine On Protection Of Economic Competition, the Law of Ukraine On Information) levels, though neither international documents nor Ukrainian law contain a legal definition of dignity and reputation as it pertains to the sphere of ethics and morals. It is noteworthy that Ukrainian law connects unlawful use of someone’s reputation with straightforward infringement of the rights to one or several objects of intellectual property (trade name, mark, symbols, etc.) that are treated as constituents of business reputation. The Civil Code of Ukraine even considers the business reputation as one of the constituents of a franchise, which gives the franchisor the right to receive royalties for its usage. Due to that fact business reputation becomes a valuable intangible asset of the company. In the event of a company’s reputation infringement (CRI), Ukrainian law provides administrative and judicial remedies, without obligation to use administrative remedies before judicial ones. Administrative remedies include applying to the Antimonopoly Committee of Ukraine (the AMCU) within a period of 6 months from the day when a company revealed, or should have revealed, infringement of its rights. In case of dissatisfaction with the AMCU’s decision the company may apply to a court. Practice demonstrates that in most cases companies decide to apply immediately to a court, commercial one or of general jurisdiction (depending on the cause of action), “omitting” the AMCU stage. The majority of CRI cases come under the jurisdiction of commercial courts as the majority of such cases involve issues of protection of economic competition, restriction of monopoly in commercial activities, and protection against unfair competition. — that it really suffered financial or non-financial loss due to that infringement. Generally, protection of trade name is more effective under unfair competition legislation than under intellectual property laws. Anyway, the essence of the reputation of a company will determine a mode of proof to be used in court.